It looks like Google has released a new format for the local ads. 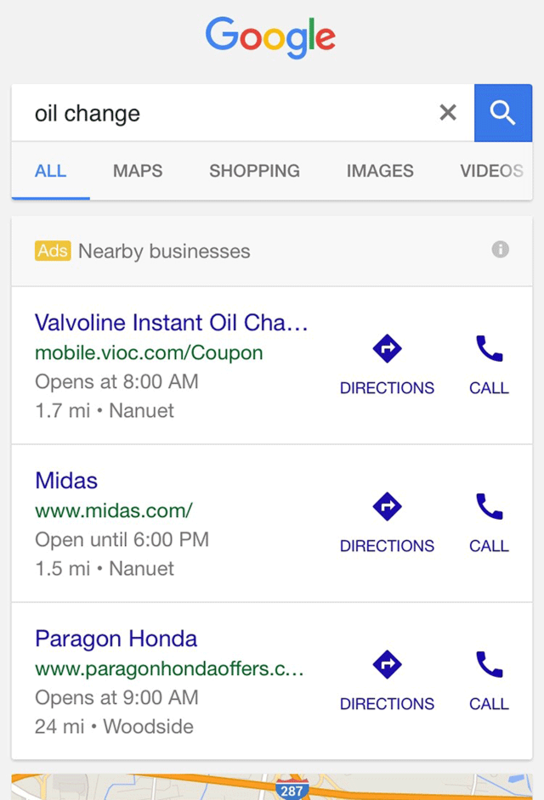 When you search for [oil change] in Google on your mobile device, you are given a few local listings that look like free Google Maps results but have a disclaimer at the top that these are nearby listing ads. A searcher posted this on Twitter and said "they're really making ads look organic these days. It fooled me." I do agree. It does seem new to me as well and it is kind of tricky, unless they are not ads? Do you see this as well? Do you think these ads really look like free results?